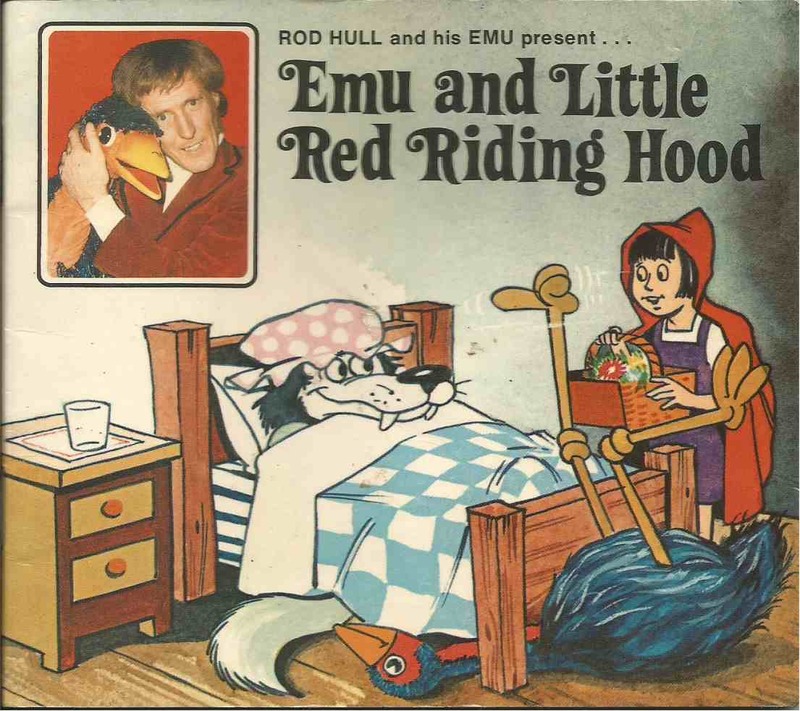 Quick flick reveals: The story of Little Red Riding Hood we all know and love, with Rod Hull's Emu inexplicably wedged in. Despite his getting top billing, he contributes little to the narrative, and is, frankly, a weak protagonist. Book is presumably meant to be read with Rod Hull's voice in your head. This is quite easy for me to imagine, as Rod Hull's voice is constantly in my head anyway. Illustrations are as Disney-esque as you can get without the lawyers calling. Other titles in this series were Emu and the Beanstalk, Emu and Goldilocks, and Emu and the Three Little Pigs.